Discover the “Grand Canyon” of Australia on this mesmerizing day tour of the Blue Mountains, a World Heritage listed site with spectacular scenery. Throughout the day, you’ll get to explore deep gorges, green velvet mountains, and an amazing collection of wildlife. 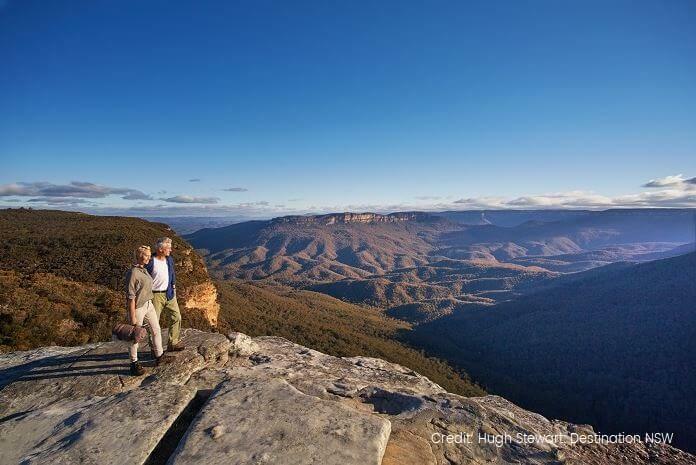 Book the Blue Mountains Tour to explore the impressive natural beauty of the region. Scenic World: Tickets for the Scenic Railway, Sky-way and Cable-way can be purchased at your own expense on the day from your Tour Guide. 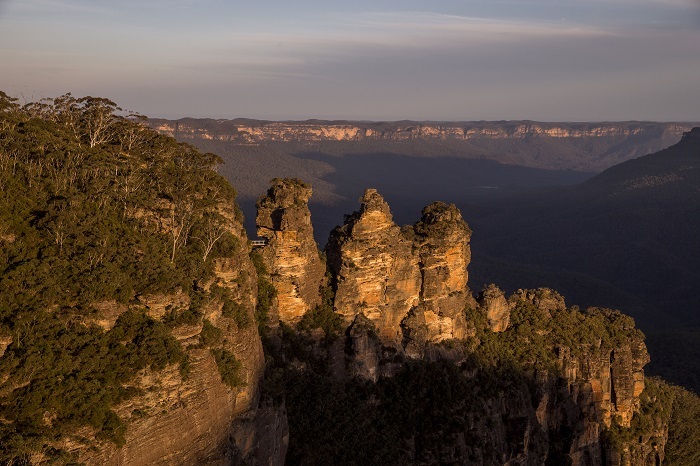 The tour departs from Sydney and journeys into the Blue Mountains and on to Kings Tableland or Evans Lookout, from which you can gaze out across the mesmerizing scenery of the Blue Mountains. 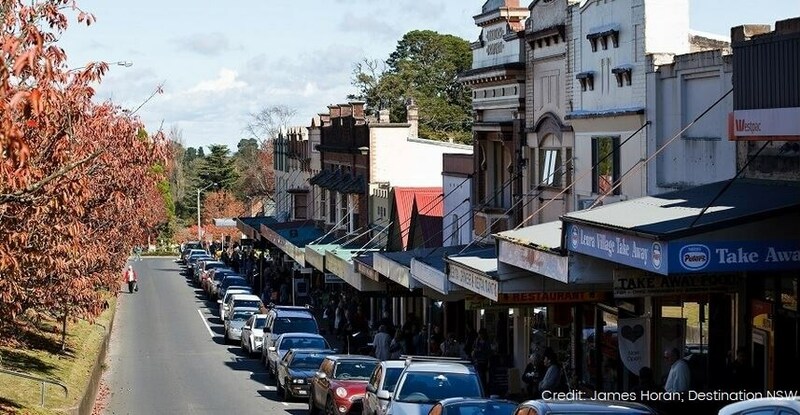 We’ll take a bushwalk to Wentworth Falls, soaking up the eclectic selection of flora and fauna along the way, before we stop off in Leura, a picturesque village brimming with boutiques and quaint eateries. Afterwards, it’s on to Katoomba, which sits pretty in the heart of the Blue Mountains. This cute town marks the gateway to two of the region’s most popular attractions. Firstly, we’ll head to the Three Sisters rock formation, where you can learn about the fascinating Aboriginal myths and legends. We’ll then move on to Scenic World, where you can hop aboard the Skyway, Australia’s highest cable car, the Cableway, the Railway, the steepest incline passenger railway in the world, and the Walkway, the longest boardwalk in the Australia. 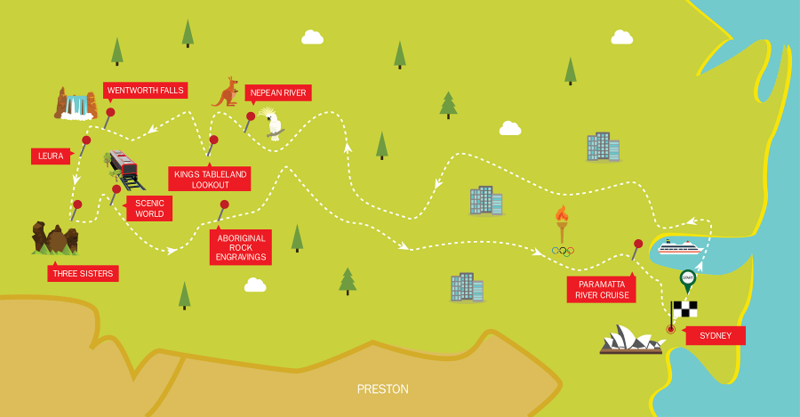 Through each of these breath-taking rides, you’ll get to marvel at the stunning expanse of the Blue Mountains below.